The J-Series is geared towards automated high speed water-only cutting. 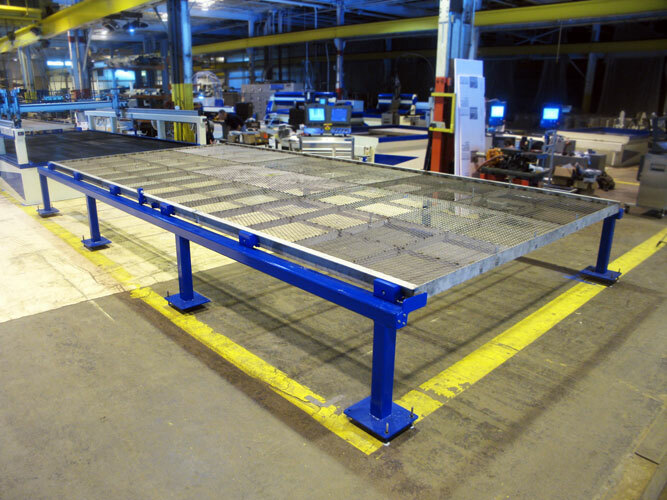 It already has many features that make automation easy but now you can increase production with our self locking Shuttle Tables. 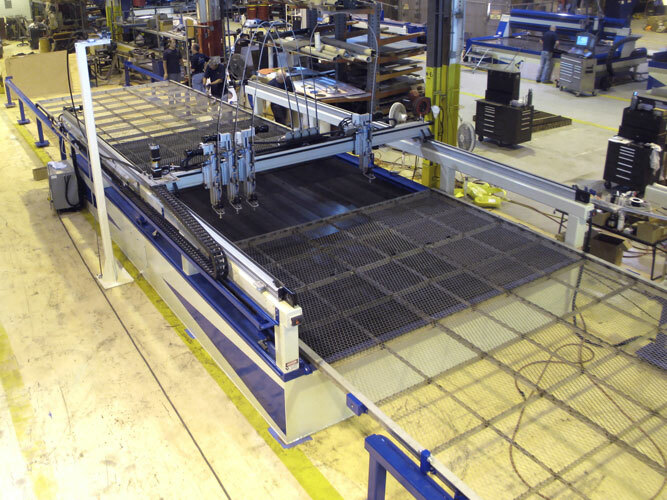 With one table loaded and parts being cut you can simultaneously be loading the second Shuttle Table with your next job and speed up the whole process. To learn more and see more photos visit the J-Series Page. 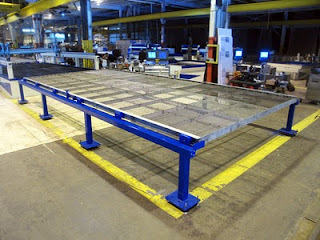 • JXL-86 Waterjet Ready to Ship!